Anemia is a condition that occurs when your blood lacks enough healthy red blood cells (hemoglobin). Hemoglobin is the part of the cell that that binds oxygen. If your hemoglobin is low, the cells in your body will not receive enough oxygen. Although anemia can happen at any age, this condition is extremely common in adults 60 years and older. In fact, it is estimated that about 10% of older adults living independent lives over the age of 65 have anemia. 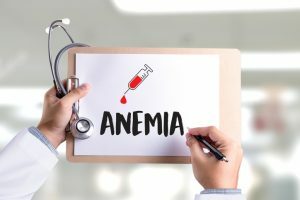 Since anemia is usually caused by poor nutrition or other medical issues, such as receiving chemotherapy, vitamin deficiency, or internal bleeding, older adults are at greater risk of developing the condition. 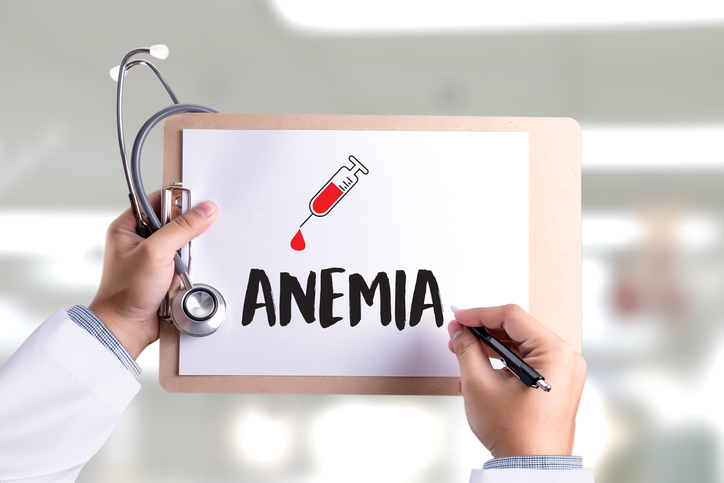 If you are experiencing some or all of the symptoms of anemia, your physician can perform a simple complete blood count (CBC) test to determine your overall health and detect a wide range of blood disorders including anemia. Jamaica Hospital Medical Center’s Ambulatory Care Center offers medical testing to diagnose testing. If you are interested in scheduling an appointment, call 718-206-7001. Iron is essential to our health. This mineral is an important component of hemoglobin which is the substance in our red blood cells that carries oxygen from our lungs and transports it to every cell in our bodies. 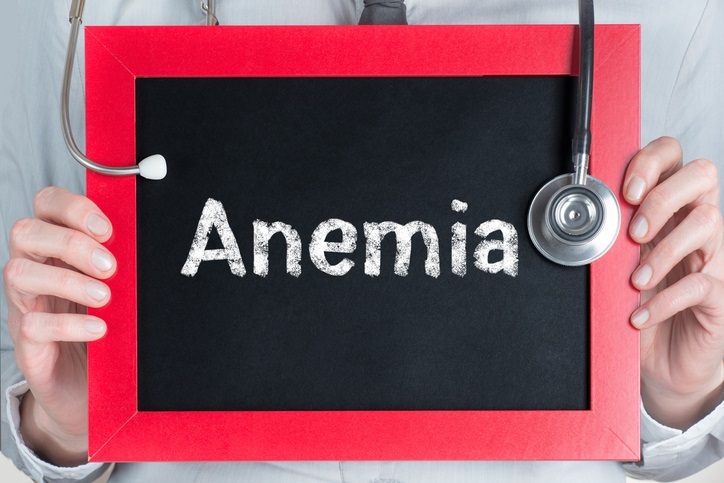 Iron deficiency anemia is the term used to describe having insufficient amounts of iron in our bodies. If we don’t have enough iron, we are incapable of making adequate amounts of healthy, oxygen-carrying red blood cells. Iron is also needed to promote the health of our skin, hair and nails. A deficiency can result in skin problems as well as brittle nails and hair loss. If you are experiencing these symptoms, it is advised that you see a doctor as soon as possible. Your doctor will order tests to determine if you are iron deficient and investigate underlying causes. If there is an underlying cause for your deficiency such as an iron-absorption problem, he or she will treat it accordingly. Your doctor may also recommend taking supplements or adding foods that are rich in iron such as spinach to your diet. September has been designated National Sickle Cell Awareness Month to bring attention to this genetic disease that affects an estimated 100,000 Americans. Sickle cell disease is an inherited form of anemia – a condition in which red blood cells are unable to carry oxygen throughout the body. For most, red blood cells are round and can move easily through blood vessels, but the red blood cells in people with sickle cell disease are crescent, or half-moon shaped. These irregular shaped cells can get stuck in blood vessels, which can slow or block the flow of oxygen to certain parts of the body. In addition to being irregular in shape, sickle cells are fragile and break apart easily. Normal red blood cells live an average of four months before they die and need to be replaced. Sickle-shaped cells however only live an average of 20 days. The result of this shortage of blood cells is a loss of energy and general sense of fatigue. • Episodes of Pain – Referred to as a “crisis”, these episodes of pain occur when blood flow is blocked to the chest, abdomen, and joints. The frequency and duration of the episodes vary from person to person, but in severe cases, they can result in hospitalization. • Frequent Infections and Fever– Sickle Cell can cause damage to the spleen, an organ that fights infection, making those with sickle cell at greater risk of developing an infection and an accompanying fever. • Changes in Skin – People with sickle cell disease can develop a yellow tint to their skin or the whites of their eyes. Skin and nail beds can often become pale. • Delayed growth – By not receiving enough oxygen rich red blood cells, those with sickle cell disease may also not get the necessary nutrients essential for growth. The risk of inheriting sickle cell disease is a genetic one. For a baby to be born with it, both parents must carry the sickle cell gene. Doctors can diagnose sickle cell disease before a child is born. Couples who are at risk for passing on this disease to their children may want to talk with a genetic counselor about prenatal testing. The sickle cell gene is more common in families that come from Africa, India, Carribbean islands, and Central and South America. To determine if you have sickle cell disease, your doctor can order a test to check for hemoglobin S, the defective form of hemoglobin that underlies sickle cell anemia. 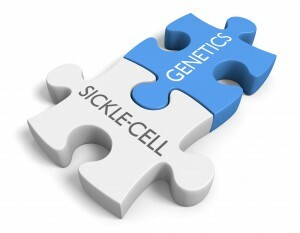 Further tests can confirm the existence of one gene (carrying the sickle cell trait) or two genes (sickle cell anemia). For those who have sickle cell anemia, treatment is aimed at treating the symptoms and avoiding crisis. Regular check-ups to monitor your red blood cell count are important. Medications are available to reduce pain and prevent complications can be prescribed, and blood transfusions, supplemental oxygen and even bone marrow transplants may also be necessary. Jamaica Hospital serves a culturally rich and diverse population. Many members of our community are from the parts of the world most often affected by sickle cell disease. In recognition of National Sickle Cell Awareness Month, Jamaica Hospital’s encourages anyone living with sickle cell disease to carefully manage their condition. The hospital also recommends all potential parents to be tested for the sickle cell trait.